Most of the car crime committed in Scotland relates to theft to or from vehicles. The taking of a vehicle is usually either to gain financially – through reselling or breaking it up for spare parts – or just for joyriding. Whichever, it is a extremely distressing and often costly experience for the owner. One way to assist with the recovery of a stolen car, and often also to reduce your hefty motor insurance premiums, is to fit a tracker to your vehicle. 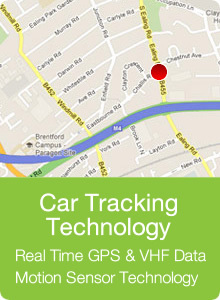 • Each of our superb tracker packages also includes free installation at a time and location which best suits you. All our tracker units also include a battery back-up system. As soon as your chosen device is fitted it will be activated and commissioned with the Secure Monitoring Centre specific to your car’s make and model. Each of these centres is constantly staffed 24/7. Our trackers use the latest motion sensing technology to help detect any illegal movement of your car (even in an underground location or if it’s been placed in a container). The moment you confirm that it has been illegally taken, the Secure Control Centre begins tracking it right across Scotland (and beyond). They also start an ongoing liaison with any relevant police force throughout the UK to help recover it for you. You'll find full details of all our terrific tracker packages on this website. However, the simplest action to take is to contact us direct here at Trackerfit for free and helpful professional advice. Call 0141 343 7798. We’re available from 9am-9pm every day of the week. Our friendly, expert team will be happy to outline all your choices and use their experience to make some helpful recommendations, which is why we are number one for car trackers in Edinburgh and Glasgow. So, do call now from anywhere throughout Scotland. Sadly it’s just too late when you look for your car and find it isn’t where you left it!